Forget freaks and vampires: When it comes to beauty rituals, it’s our inner princesses who come out at night. It’s then that we languidly soak in tubs of skin-nourishing oils and mind-quieting aromatics and casually delve into nine-step Korean-inspired skin-care regimens. The mornings, on the other hand? Well, in that our hour of groggy discontent, count us lucky if we can brush our teeth before getting out the door in time. While most of us know that, as a minimum, we should slap some SPF on our skin before heading out into the day, fewer of us are keyed into the idea that other airborne nanoparticles (like smog, cigarette smoke, soot, pollen, water droplets, and pollutants) contribute to aging skin. Research has shown that polycyclic aromatic hydrocarbons (PAH) cling to these airborne nanoparticles, where they are converted to quinones — which can age the skin in the same ways that chronic exposure to UV light can. And, those who live in cities are more exposed to PAH. It’s a lot to consider — especially before coffee. The takeaway: When we talk a.m. skin care, SPF is only half the battle; we’ve got to clean our skin and arm it with antioxidants (then UV protection) to ensure we’re really ready to face the day. 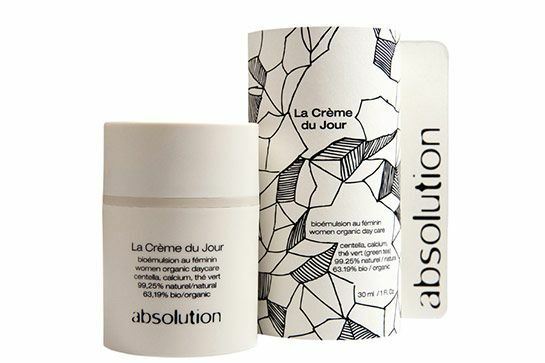 To figure out how to best protect our skin from good, old UV and the solid and liquid particles suspended in the air (many of which are generated during the combustion of fossil fuels), we spoke to Dr. Debra Jaliman, a New York-based dermatologist and author of Skin Rules, about the best way to handle our morning skin-care regimens. Regardless of your complexion, Jaliman advocates for cleansing, applying a serum, and, finally, SPF. 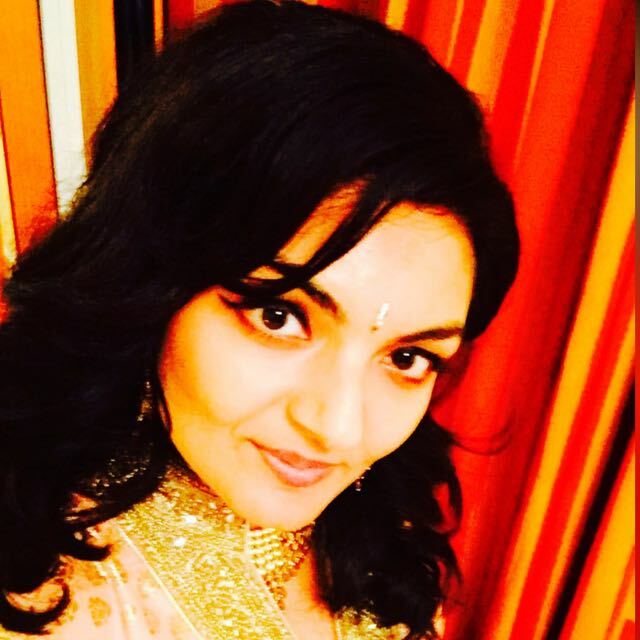 Read on for her tips on how to tinker with the morning trifecta, no matter your skin type. You’ve never seen beauty quite like this before. Check out our Beauty Innovator Awards for the smartest, funkiest, most fresh to death products of the year. To wake up dull skin, cleanse with an exfoliating powder, which will help slough off dead skin cells to not only reveal a rosier complexion but also create a smoother canvas for makeup. “If you’re being photographed that day, take an extra step and exfoliate — your makeup will go on better,” Jaliman advises. 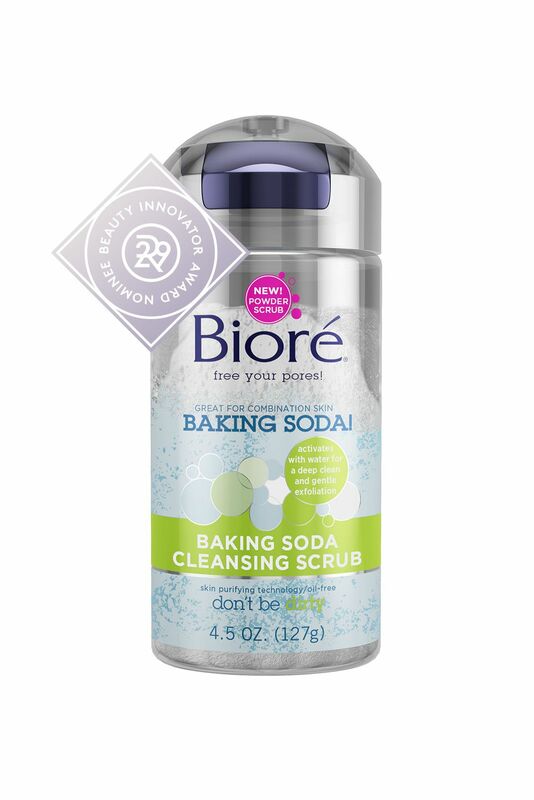 Bioré Baking Soda Cleansing Scrub, $7.99, available at Walmart. Dull skin needs a refresh every other day. Swap in this gentle exfoliator that not only softly buffs your face, but smells like you’re holing up inside a luxe spa. Chanel Gommage Microperlé Éclat, $45, available at Chanel. Turns out, ‘gentle exfoliator’ isn’t an oxymoron after all. Mix a little of this powder with water and massage it on for super silky skin. Tatcha Polished Classic Rice Enzyme Powder, $65, available at Sephora. For daily cleansing, reach for hydrating products like this one from May Lindstrom, which is packed full of nourishing (and antibacterial) honey. 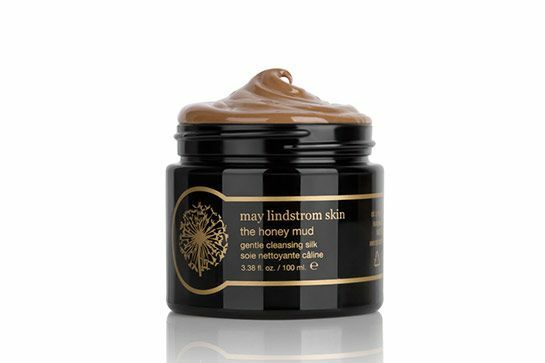 May Lindstrom Skin, $80.00, available at Spirit Beauty LoungePhoto: Via May Lindstrom. Further, products with lactic acid, vitamin C, licorice root, ginkgo, and other antioxidants and anti-inflammatories help deliver nutrients and brighten skin. 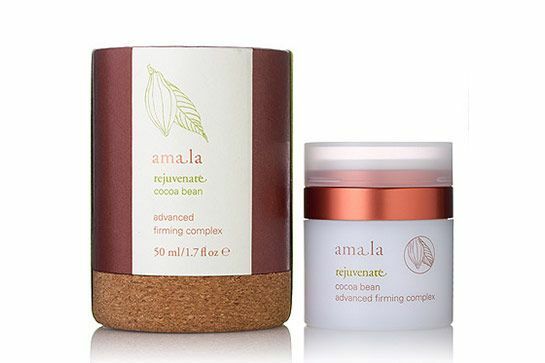 Amala, $24.00, available at Spirit Beauty LoungePhoto: Via Amala. A tinted moisturizer provides SPF adequate for those who spend most of the day indoors. 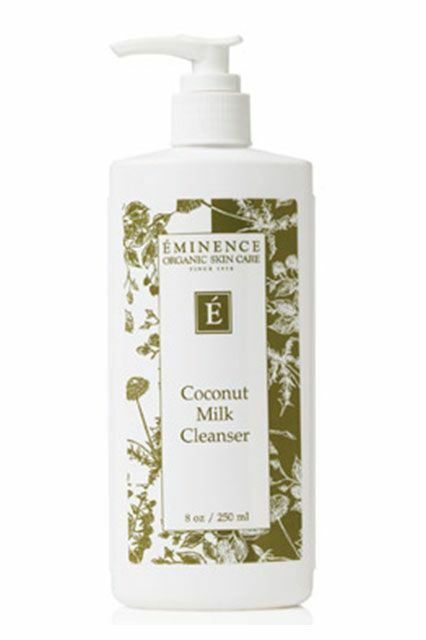 We like the True Botanicals Everyday Sheer Coverage for its light tint, non-nanoized zinc oxide, and skin-loving nutrients like broccoli seed oil, green and white tea, glycerin, pomegranate, and vitamin E.
Eminence Coconut Milk Cleanser, $36, available at Dermstore. If a scrub feels too aggressive in the morning, opt for a gentle micellar water that will cleanse and refresh. Garnier SkinActive Micellar Cleansing Water & Makeup Remover, $8.99, available Ulta Beauty. This grapeseed-laced formula is a must for reactive skin types. Not only does it smell delicious, but it leaves your skin feeling refreshed — without drying it out. Caudalie Micellar Cleansing Water, $28, available at Birchbox. Dry skin types will relish in the calming formula packed inside this tube. Even if you feel like your skin is too dehydrated to wash every morning, this purifying, yet creamy, cleanser will convince you otherwise. Aesop Purifying Facial Cream Cleanser, $39, available at Aesop. Those with dry skin should look for a cleanser that’s creamy in consistency and stocked with hyaluronic acid, glycerin, ceramides, or other gentle moisturizers, Jaliman says. “The cleanser you choose is crucial in terms of not drying out your skin,” she says. 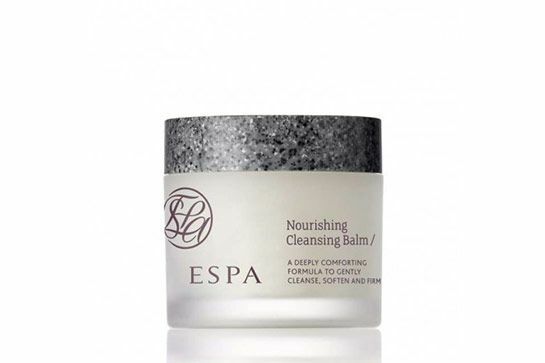 ESPA, $79.00, available at ESPAPhoto: Via Espa. Essences give skin an extra layer of moisture before your serum and moisturizer. This formula is a bit thicker than the usual essence and makes skin look super dewy. Lancome Énergie De Vie Intense Essence, $50, available at Lancome. After cleansing, continue to moisturize with a serum stocked with hyaluronic acid, glycerin, and/or antioxidants. 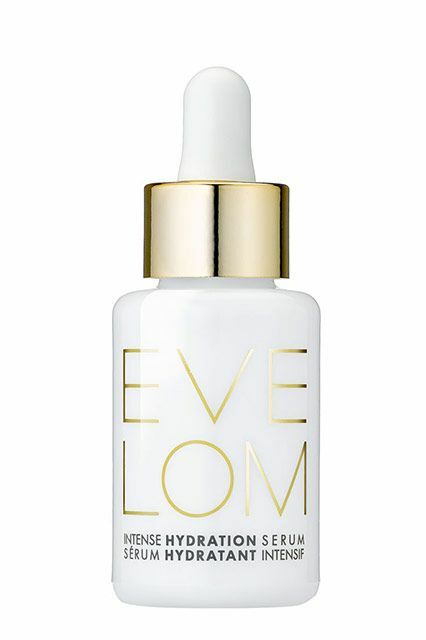 Eve Lom, $95.00, available at NordstromPhoto: Via Eve Lom. Sensitive skin will rejoice over this powerfully hydrating serum. Pat it on before your moisturizer and layer it up depending on how much moisture you seek. Glossier Super Bounce, $28, available at Glossier. Since many with dry skin need a no-nonsense moisturizer to lock in the hydration, try adding an SPF booster to be super hydrating, like the instant cult classic Charlotte Tilbury Magic Cream. 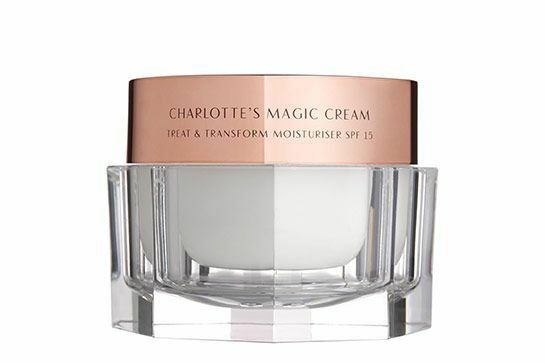 Charlotte Tilbury Magic Cream, $100, available at Charlotte Tilbury. And don’t forget about sun protection! 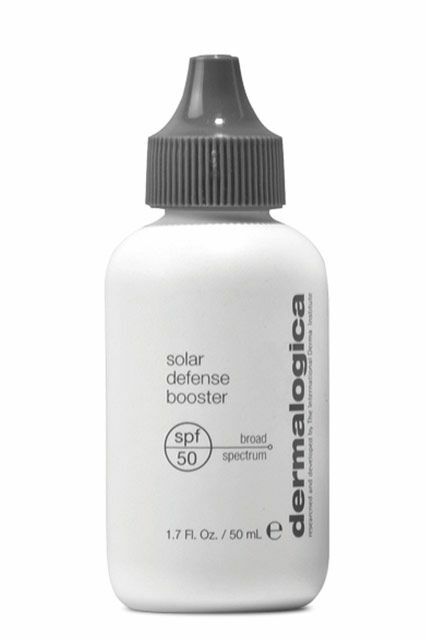 Dermalogica, $48.00, available at DermalogicaPhoto: Via Dermalogica. If your skin starts to feel tight and dry mid-day, reach for a quick hydrating mist like this one from Tatcha. 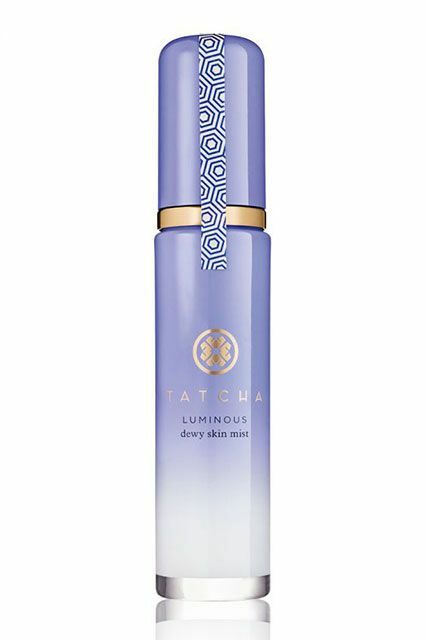 Tatcha Dewy Skin Face Mist, $48, available at Tatcha. Everyone should wash the night’s bacteria and pillow gunk from their faces in the morning. But, for those with oily skin, morning cleansing is a particularly important step. Jaliman suggests cleansing with a powder or glycolic- or salicylic-acid-spiked cleanser (rather than a cream) and toning the skin as well. 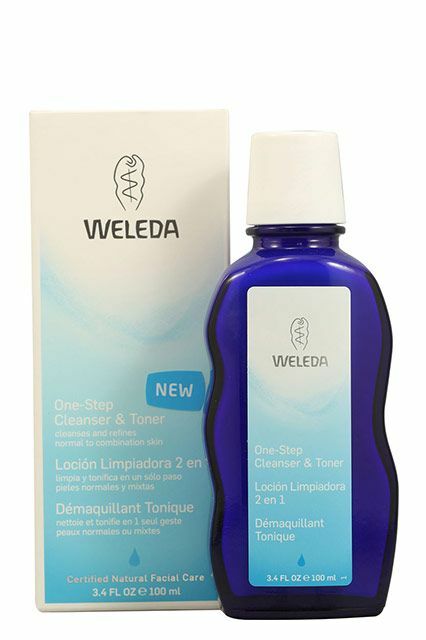 Weleda, $19.50, available at WeledaPhoto: Via Weleda. And, though those with oily skin tend to shy away from “hydrating” products, Jaliman says the best way for this group to get moisturization in the day is via a serum, since a moisturizer will just up the grease factor. “If you’re very oily, you may need a little moisturizer at night but not typically during the day,” she offers. 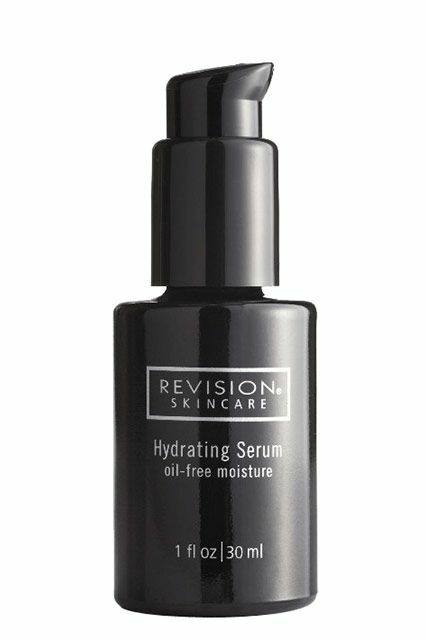 Revision Skincare, $29.99, available at AmazonPhoto: Via Revision Skincare. 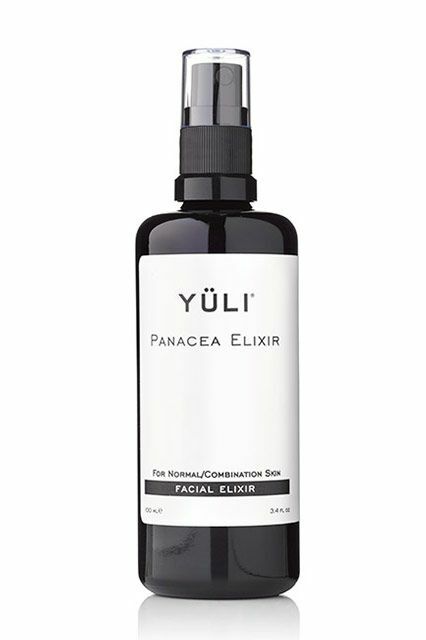 “Hyaluronic acid is a good moisturizer that doesn’t break anyone out,” Jaliman says. We found Mizon’s fast-absorbing serum is lightweight and also provides an intense punch of moisture. 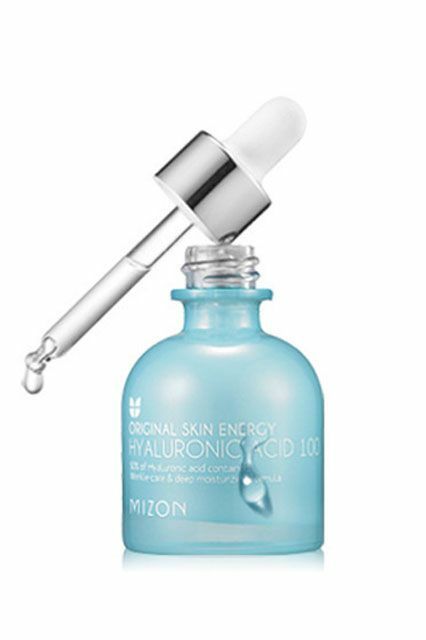 Mizon Hyaluronic Acid 100, $42, available at Peach & Lily. She also suggests exfoliating the skin, being careful to hit the eyebrow area — a spot on the face that’s often neglected. 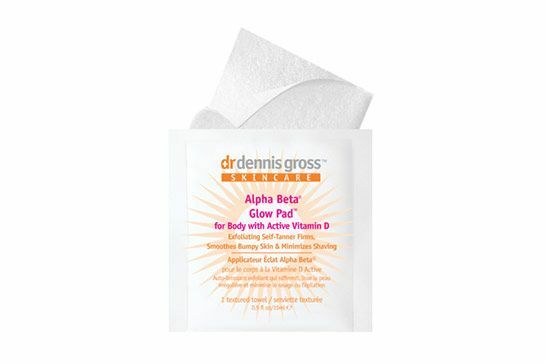 Dr. Dennis Gross, $32.00, available at Beauty.comPhoto: Via Dr. Dennis Gross. What’s more, powder sunscreen not only provides grease-less protection in the morning, but it’s the perfect tool to cover four o’clock shine. 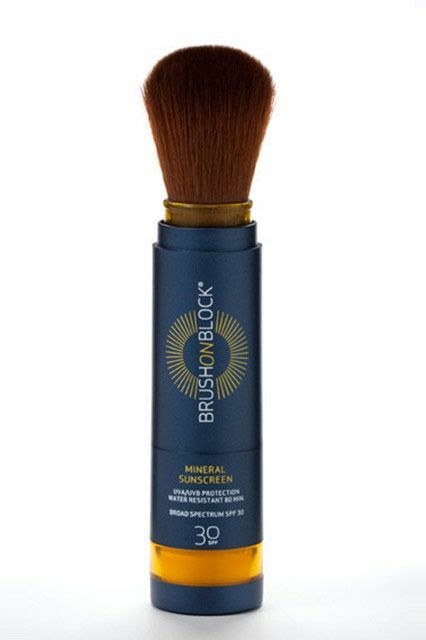 Brush on Block, $30.00, available at Brush on BlockPhoto: Via Brush on Block. The best way to fight fussy skin? With a big dose of simple. Look for products with short ingredient lists, like Cetaphil’s Gentle Skin Cleanser, and serums that calm and soothe. 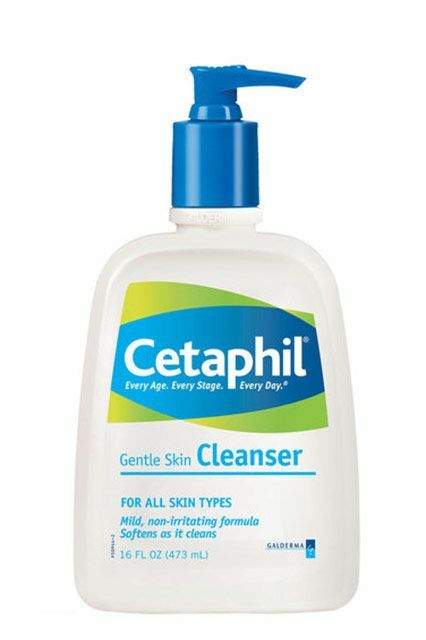 Cetaphil, $4.39, available at Drugstore.comPhoto: Via Cetaphil. Philosophy has long been a winner for sensitive skin beauties. This gentle, unfettered formula has been whisking away makeup and leaving behind no residue since 1996. Philosophy Purity Made Simple, $36, available at Sephora. 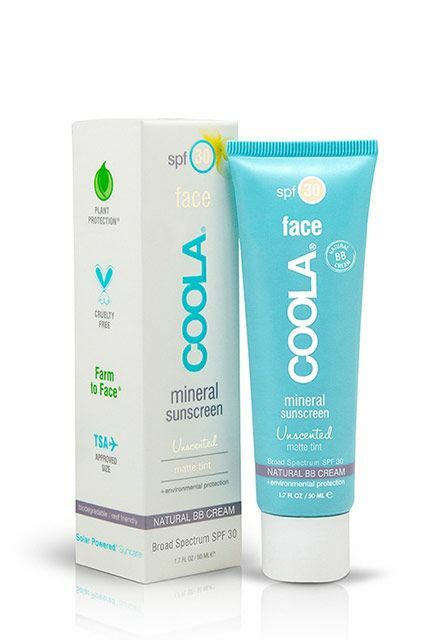 Coola, $36.00, available at CoolaPhoto: Via Coola. 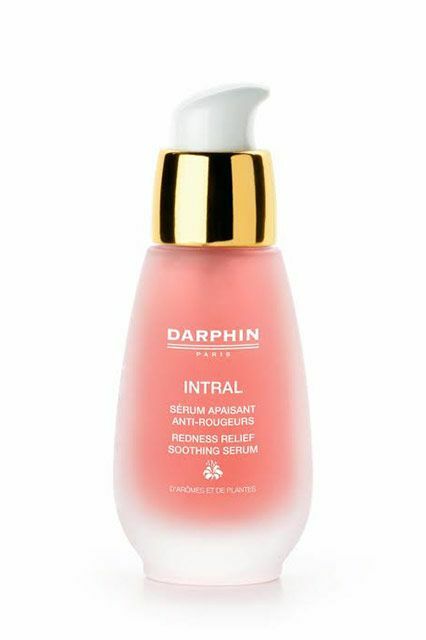 A redness-reducing serum like this one can also work wonders to soothe irritated skin. Darphin, $88.00, available at DarphinPhoto: Via Darphin. 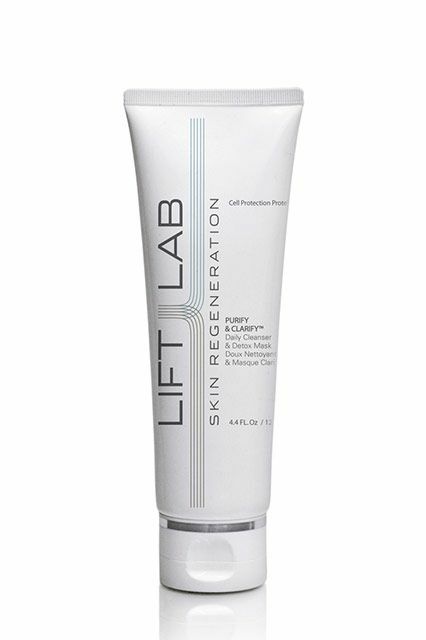 LiftLab, $65.00, available at Neiman MarcusPhoto: Via LiftLab. If oily in the T-zone and dry on the periphery, try using a milder cleanser followed by a toner in that oily area, for example. Yuli, $36.00, available at Spirit Beauty LoungePhoto: Via Yuli. For combination skin, Jaliman also likes serums high in antioxidants, like those with pomegranate, since polyphenols won’t dry the skin out. “Apply antioxidants in the morning because high-antioxidant products will be able to help protect against pollutants,” she says. It’s likely the moisture from a serum will suffice, but if you do need a hydration boost, be careful to apply the product to only those dryer patches of skin. 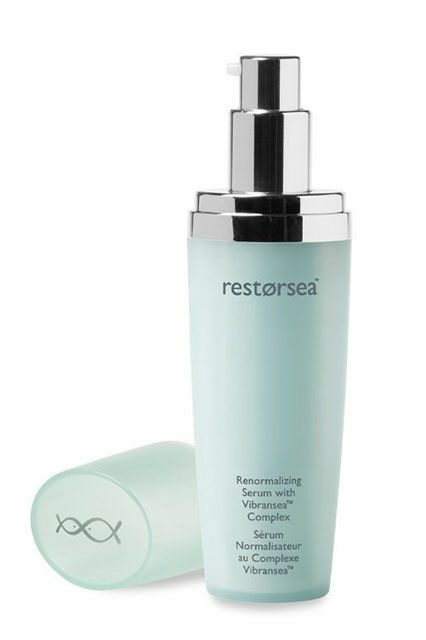 Restorsea, $195.00, available at Bergdorf GoodmanPhoto: Via Restorsea. Finally, pay attention to the parts of your face, if any, that need moisturizer during the day. 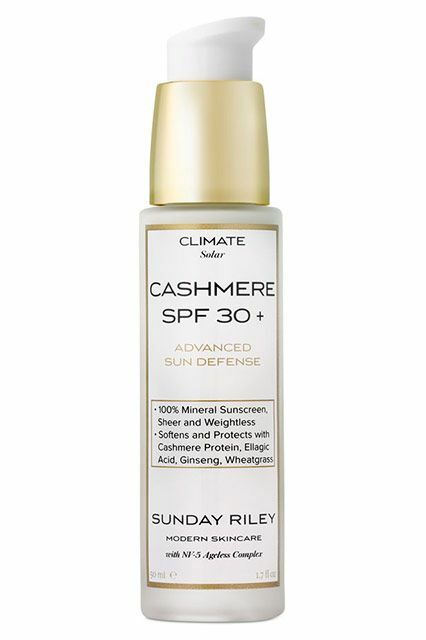 This one is great because it layers well under makeup and has an SPF of 30 to give you a bit of sun protection. 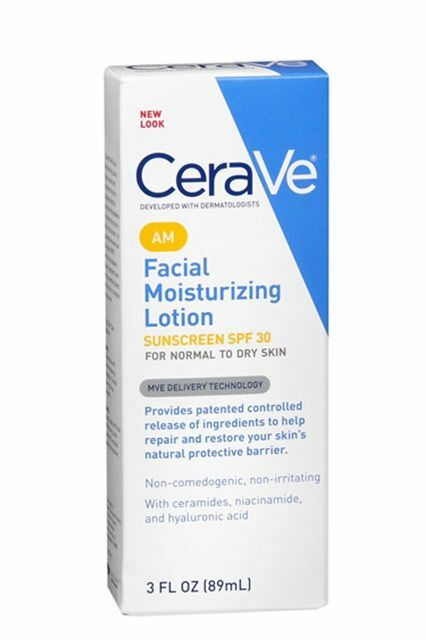 CeraVe Facial Moisturizing Lotion AM, $14.60, available at Walmart. One way to cleanse hyperpigmented skin is by exfoliating the dead skin and pigment away. By pairing a sonic cleansing brush with a vitamin C-loaded cleanser, exfoliation meets pigment-reducing power, as the vitamin has been shown to interfere with pigmentation pathways that occur in the skin. 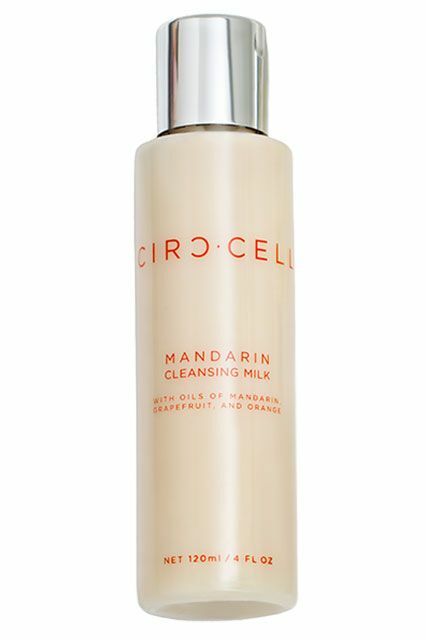 Circ Cell Mandarin Cleansing Milk, $45, available at Circ Cell. We reserve our heavy-duty toners for before bed to remove every speck of leftover makeup and dirt, but this one is intensely moisturizing and serves as the perfect base for your day moisturizer. Fresh Peony Brightening Moisturizing Facial Toner, $60, available at Fresh. For those of you who don’t want to shell out for a cleansing brush, a physical exfoliant like this one will do the trick. 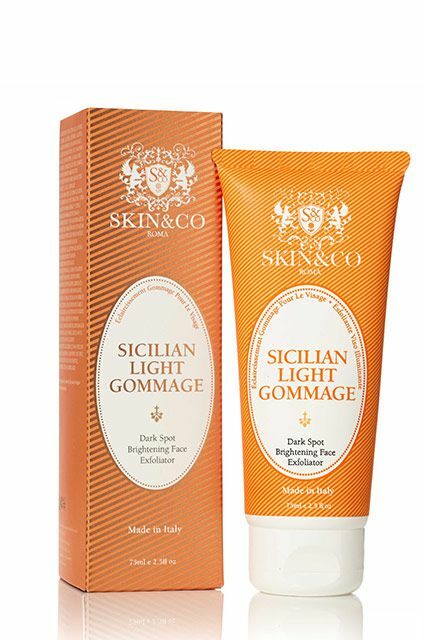 Skin & Co Roma, $29.00, available at Skin & Co RomaPhoto: Via Skin & Co Roma. While hydroquinone can work well in fighting discoloration, its high absorption rate into the skin and carcinogenic properties give some people pause. Instead, try a serum with niacinamide (like SkinMedica’s Lyteria Skin Brightening Complex), which makes Jaliman’s best pigment-fighting ingredients list, along with kojic acid and licorice extract. 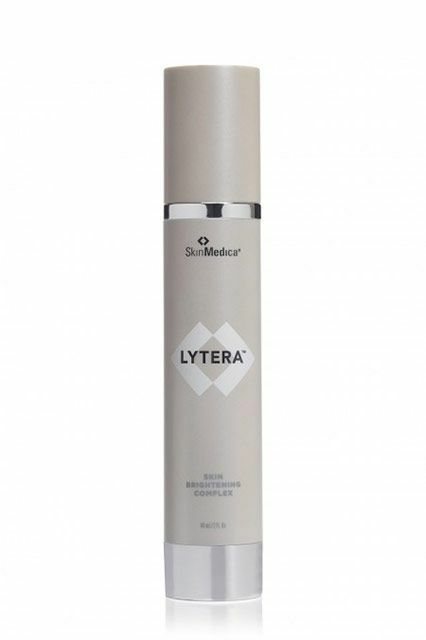 SkinMedica, $125.00, available at SkinMedicaPhoto: Via SkinMedica. Finally a physical SPF laced with anti-pollutants, such as wheatgrass, and pigment fighters, like ellagic acid, helps combat discoloration with every step of an a.m. routine. Sunday Riley, $125.00, available at Sunday RileyPhoto: Via Sunday Riley. For those prone to blemishes, it’s especially important to cleanse the skin first thing in the morning. Jaliman suggests looking for washes with salicylic or glycolic acid, which have been shown to reduce acne. 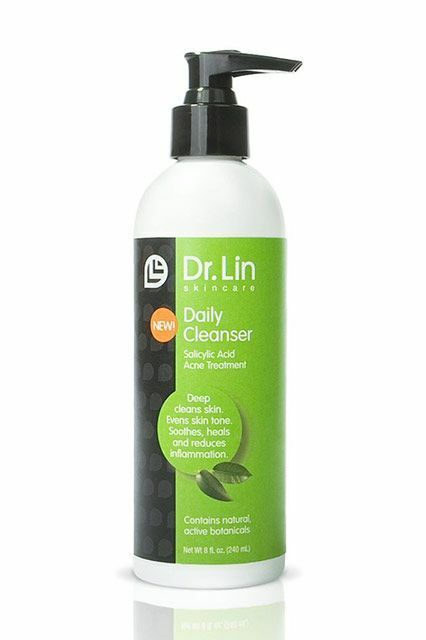 Dr. Lin, $7.49, available at Ulta BeautyPhoto: Via Dr. Lin. Skin irritated or inflamed? This 10-minute mask will instantly help to calm your complexion and leave you feeling refreshed and de-stressed. Ren Evercalm Ultra Comforting Rescue Mask, $38, available at Sephora. We also love sweeping these witch hazel- and salicylic acid-infused pads over our problem areas in lieu of toner. 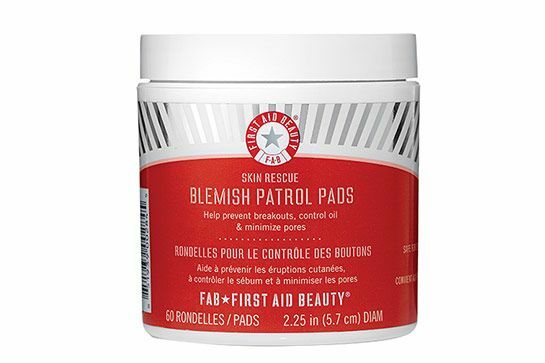 First Aid Beauty, $30.00, available at SephoraPhoto: Via First Aid Beauty. Next, Jaliman suggests using a serum to moisturize rather than a lotion or cream, since the former hydrates but still allows the skin to breathe. In fact, many people with acne don’t need to apply a daytime moisturizer at all — Jaliman sees many acne patients who complain about having to use blotting papers all day to deal with excessive oil and shine, only to find out they’ve been applying lotions and creams in the morning. 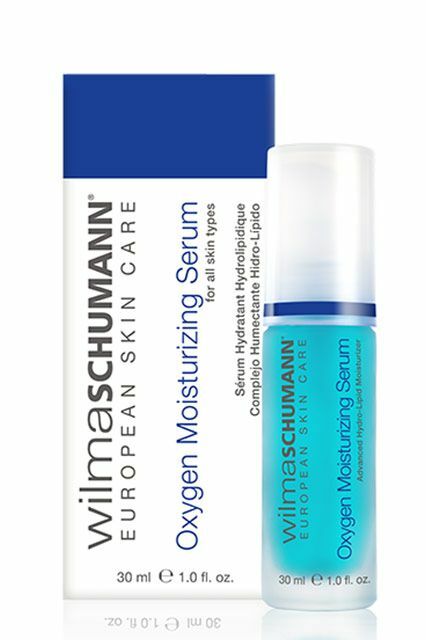 Wilma Schumann, $56.00, available at SkinStorePhoto: Via Wilma Schumann. While a non-greasy SPF can seem like a tall order, we found the light formulas of EltaMD’s UV Clear Broad Spectrum SPF 46 and EltaMD’s Tinted Broad Spectrum SPF 40 to both protect from UVA and UVB without added shine. 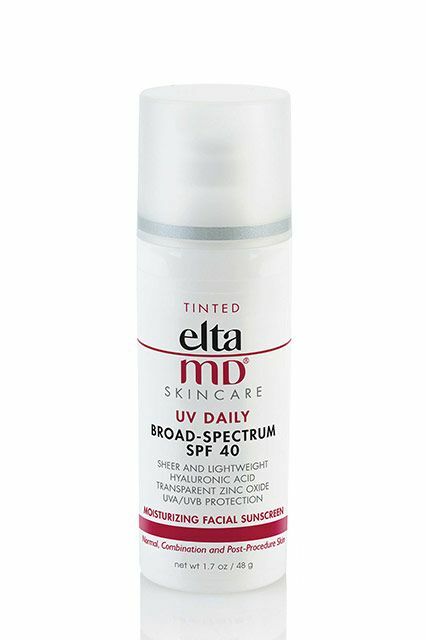 Elta MD, $28.00, available at DermStorePhoto: Via Elta MD. Nothing is going to stop skin from growing older. But, by tricking it into producing more collagen, you can sure make it look younger for longer. Jaliman recommends starting your morning skin-care routine with a mild cleanser. 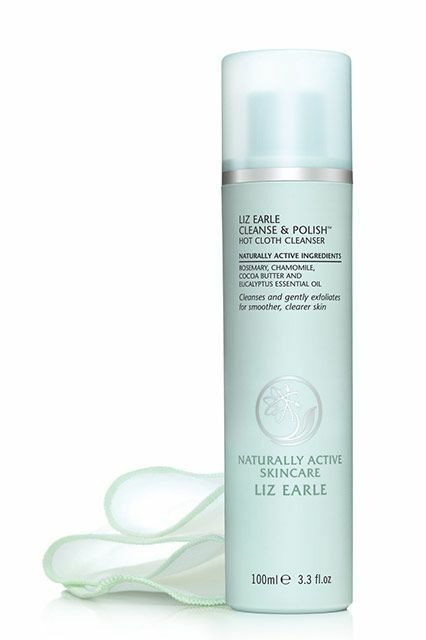 Liz Earle, $24.50, available at BirchboxPhoto: Via Liz Earle. Most skin types don’t need to apply eye creams in the a.m. But, if you have fine lines under your eyes, Jaliman notes you may benefit from a daytime eye cream — but in gel form. “Try to find something that doesn’t run into your eyes and smudge your makeup — something that can be a particular problem in heat and humidity,” she warns. 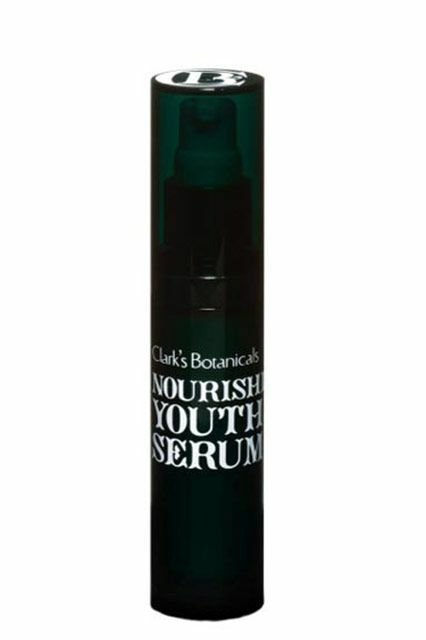 Clark’s Botanical’s, $155.00, available at Clark’s Botanical’sPhoto: Via Clark’s Botanicals. If your skin is thirsty, feed it a nourishing moisturizer before moving onto with SPF (a step that should always be last in line). Absolution, $69.00, available at Veer and WanderPhoto: Via Absolution. Finish off by incorporating anti-aging foundations into your makeup routine for added benefits. 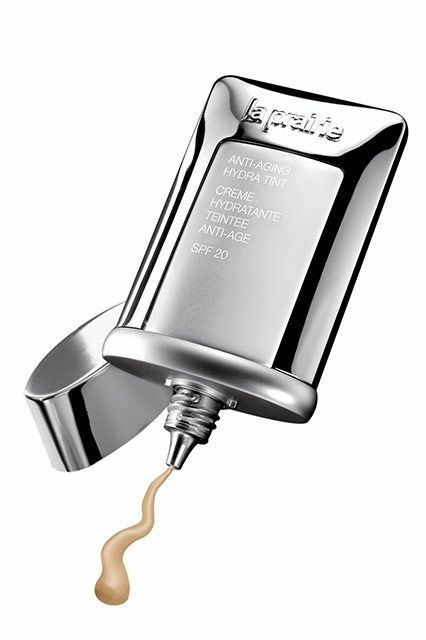 La Prairie, $100.00, available at NordstromPhoto: Via La Prairie. 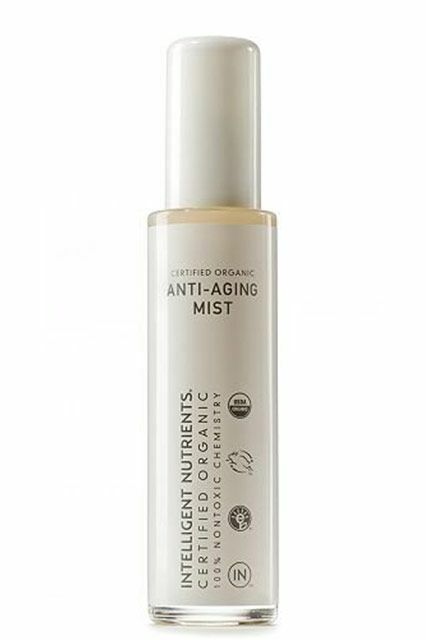 If you feel like your skin needs a pick-me-up throughout the day, feed it with a moisturizing mist. Intelligent Nutrients, $40.00, available at Beauty.comPhoto: Via Intelligent Nutrients. Instead, treat your skin like that of a newborn baby by washing with an alcohol-, soap-, and detergent-free cleansing water and cotton. 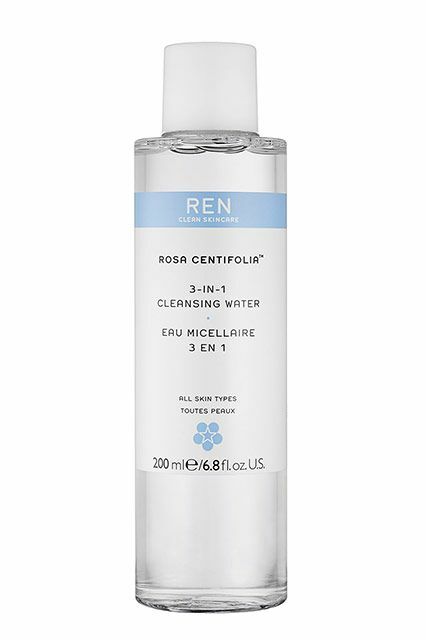 Ren, $25.00, available at SephoraPhoto: Via Ren Clean Skincare. Jaliman also suggests sidestepping some of the more AHA- and BHA-loaded products since they don’t tend to work well on this group. “On these patients, the fewer products they use, the better off they are. Keep it simple.” Try looking for skin care made with green tea, which serves as an anti-inflamatory for redness. An antioxidant serum that uses gentle sea buckthorn oil can also help deliver essential fatty acids that may help protect and heal the skin. 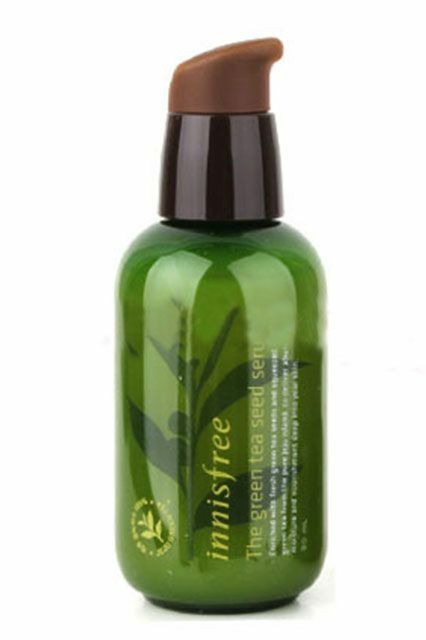 Innisfree The Green Tea Seed Serum, $26, available at Innisfree. Finally, Jaliman recommends paying careful attention to whether you can handle chemical sunscreens. For those with considerable rosacea, the chemical actives in some of them may irritate the skin further. But that doesn’t mean one should skip SPF altogether — especially in this group: “UV light really irritates rosacea, so it’s especially important that those with rosacea use sunscreen,” Jaliman says. We like this one because it’s formulated specifically for those with easily irritated, rosacea-prone skin. 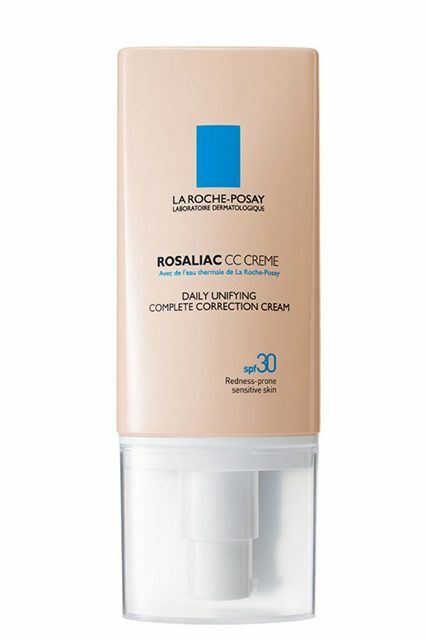 La Roche-Posay, $39.00, available at DermStorePhoto: Via La Roche-Posay. Not a fan of chemical sunscreens? Drunk Elephant’s Sheer Physical Defense will quite literally have you covered — no chemicals needed. Drunk Elephant Umbra Sheer Physical Defense, $38, available at Dermstore.